We are pleased to collaborate with the 5 star Le Barthélemy Hotel & Spa to enhance our clients’ vacation experience. Make a breakfast, lunch or dinner reservation (through our concierge) at the hotel’s beachfront dining venue, Le Barth and enjoy the following. 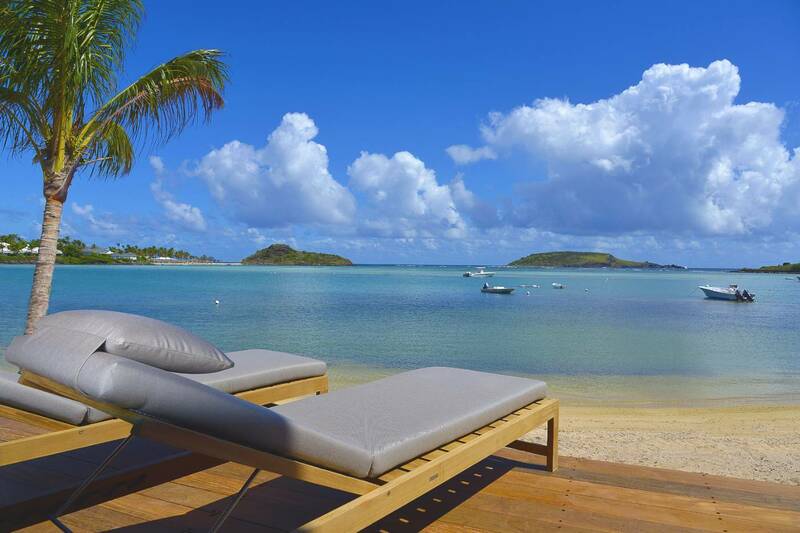 Le Barthélemy is located on the gentle, brilliantly-hued lagoon that is Grand Cul-De-Sac. Enjoy! Chairs are subject to availability. Not available during Le Barthélemy’s annual closing (approximately September 1 – October 15).